You don´t have to renounce to your present way of living, your job or posessions. You ONLY have to renounce to your CLINGING to those things. If you can do that, then your ordinary life will become PRACTICE. That means that progressively, you will find out that everything that happens has its own reasons, and you won´t need to change anything. You will be comfortable with whatever happens. That is the real MUSHOTOKU. If you are able to SIT DOWN (pacify your mind), face your wall (skandas also known as Ego), and crack it, then you will stop liking and disliking. Then you will be Mushotoku. Mushotoku is like the automatic pilot: whatever happens, is all right, provided that you have cracked the wall. Mushotoku is not becoming like a zombie. Whatever happens is ok, but you ACT according to the situation, and that is also ok. If you have to run, you run. If you have to shout, you shout. If you have to cut, you cut. In fact, once you crack the wall, there is NOBODY running or shouting or cutting. There is only RUNNING, SHOUTING, CUTTING. To physically sit down, and blank out your mind, that is not Mushotoku. That will prevent you from expressing primordial wisdom. In the long run, you will become an idiot. If you can crack the wall by yourself, DO IT. If you can not crack it by yourself, look for someone who can help you. You don´t have to memorize sutras. You don´t have to perform rituals, chant mantras or visualize deities. You only have to sit down, face the wall and look. That´s all. But you have to know what is meant by sitting, facing and looking. If we expect people to realize MUSHOTOKU, I think we expect too much. The Buddha's teaching, as I understand it, is rather to be content with our human end-gaining tendencies, and to endeavor to serve buddhas on that basis. See for example Shobogenzo chap. 87, Serving Offerings to the Buddhas. A very experienced teacher once told me that before a workshop she wrote on the blackboard in big letters "Be happy to be wrong!" I told her that for me, it was "Be happy trying to be right!" She clap her hands and pointed at me and cried "You got it!" There can be a bit of MUSHOTOKU in being USHOTOKU, and a lot of USHOTOKU in trying to be MUSHOTOKU. When there is Mushotoku, there is no Ego. When there is Ushotoku, there is Ego. Expecting the SERIOUS practitioners to realize Mushotoku is not too much. Mr. Gautama and all the Zen Patriarchs, just wanted you to do one thing: To SEE the Nature of Mind, and familiarizate yourself with that; that is MUSHOTOKU. You only have to serve the BUDDHA, the AKAKENED MIND,and you do that when you are SEEING the Nature of Mind; no more and no less. It does not matter if you are happy trying to be right or wrong. You just have to SEE your own Nature. Beeing happy or sad are just feelings; Seeing your own Nature is REALIZATION. You are not Mr. Wrong, but you are not Mr. Right either. beyond neither right nor wrong. I attended my first Zen temple today to participate in their practice. I must say that I am overwhelmingly disappointed about how insistent they were on not asking why's and how's but just insisting on doing. Also, it was very disappointing to see them use so many japanese phrases that needed interpreting. Why not just use the american word that doesn't need interpreting? For us westerners is very difficult not to use the conceptual mind. Mind is not only conceptual, and zen techniques try to make you experience the non-conceptual mind. It depends on what kind of "zen" you are involved with. Some japanese "zen institutions" pretend to have the patent over zen, which is absurd, but it is happening. 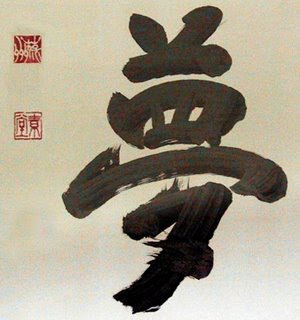 Maybe you should look for other types of zen practitioners if you don´t feel comfortable with the japanese rituals and exotic wording which impress other kind of practitioners.